At Crossroads, we take seriously the command of Jesus to Go and make disciples. Globally, our strategy focuses on planting churches in unreached/least reached people groups, strengthening leaders of emerging churches, and mobilizing our church body to be actively involved in His mandate. Through full-time missionary support and short-term trips, Crossroads has impacted 42 countries in 5 continents, 5 in-country ministries. beeWORLD addresses the growing world-wide leadership crisis by providing seminary-level biblical training to pastors and church leaders who otherwise have no access to biblical education. Their vision is to provide that access to anyone who desires to mature as a disciple of Jesus Christ. Crossroads supports five missionaries living in Colorado who travel in restricted countries primarily in Asia and Middle East. They facilitate curriculum to pastors and leaders who then train a new group, a principal of muliplication found in 2 Timothy 2:2. you can click on the beeWORLD picture for more information. John and Natalie McLaughlin are with the Athletes In Action division of cru. They focus on growing the kingdom of God by building godly men through the platform of baseball. John and Natalie take teams to Central and South America each summer to play a in a summer league. They evangelize within the teams and to families involved. To learn more about what John and Natalie do, you can click on the picture or email John.mclaughling@athletesinaction.org. Genti and Erjona Tupa are with the Family Life Ministries division of cru serving in Albania. Their strategy is to win, build, and send. Albanians are being sent to bless others with the gospel, especially Muslim countries, and by the year 2020, their vision is to have 50% of the staff serving outside of Albania’s borders. Crossroads was privileged to participate in a short-term trip to young professionals. To find out more about their ministry, click on the Family Life picture or email tupa.family@yahoo.com. Nabeeh and Ruba Abbassi serve in Jordan. Nebeeh is the director of Arab Center for Consulting and Training Servcies and Ruba directs the Arab Women Today radio ministry. Together, their Arabic website targets 18-45 year old women. It is a platform enriched with a variety of short, straight forward articles linked to each other that touch the different areas of a woman’s life, for the purpose of raising awareness. Cornelius and Angelique Gray are currently in language school in France with the goal of working among the Muslim population in southern France. GEM is committed to seeing God’s Kingdom spread through all the peoples of Europe to the world as we follow Jesus and lead others to do the same. 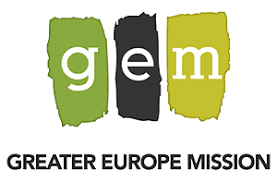 GEM mobilizes and activates disciples of Jesus who want to leverage their time and talents to make disciples among the peoples of Europe. For more information, click Greater Europe Mission picture. Crossroads supports Peter and Margre Hays in Netherlands. Peter teaches at Tyndale University and they minister in CBS (Community Bible Study) throughout Northern Europe. Through 2020, they are leading a Power to Change Movement reaching 250,000 people through a website answering questions about God. Crossroads has participated in youth and adult trips to the Netherlands. LIFE Romania exists for one purpose—to impact the world to become Christ-followers. Their focus is upon the youth of Romania. Since 2006 they have labored consistently and with purpose to establish an effective and sustainable model to reach young people for Christ—not merely calling them to repentance, but challenging them to become true disciples of Christ, committed to a lifetime of obedient service under His sovereign authority and lordship. Crossroads supports Iulian and Roxana Avramescu and has taken numerous short-term trips to Camp Mia, Pastoral Conferences, and Counselor Training. For more information about LIfe Romania and the Avramescu's ministry, click on the picture. The motto of The Navigators is “To know Christ, make Him known, and help others do the same. They do this through building Life-to-Life mentoring - or discipling - relationships among Christ followers, equipping them to make an impact on the people around them for God’s glory." Click on the Navigators picture for more information. Alicia Garcia works on the Campus of The University of California at Irvine. She is involved with training the leader in the collegiate ministries. Email Alicia at alicia.d.garcia@gmail.com fo rmore information. Dave Dawson founded Equipping The Saints, while working with The Navigators. Their mission is to help churches and mission organizations to train ordinary lay people to do the work of ministry and to edify the Body of Christ as instructed in Ephesians 4:12. Equipping The Saints seeks to practically balance the Great Commandment of Jesus Christ with His Great Commission in the lives of lay people through hands-on training programs. For more information, clcik on the pictrue or email Dave at etsusa@aol.com for more information. Ratio Christi believes that Christians have failed to address the pressing questions of worldview, science, philosophy, history, and the other academic disciplines. Consequently, the Secular Humanist worldview has overtaken the university and the minds of students. Ratio Christi, a Student Apologetics Alliance, places Christian apologetics clubs at secular, liberal, religious, public, and private universities around the world in order to take part in the battle for the mind, and begin to reverse the Humanist trend of thought by providing and equipping students with the answers, or means of getting the answers, to the pressing questions of life that shape our worldview. Crossroads supports Danny and Becky Loe who recently joined Ratio Christi and live in Louisiana. For more information, click on the Ratio Christi picture.